Akij Group Job Circular in Bangladesh. All Latest and Upcoming Jobs Circular of Akij Group Bangladesh are found at bdresults24.net. All kinds of Akij Group Bangladesh Jobs are available here. Keep Search "Akij Group" Job Circular in Bangladesh. 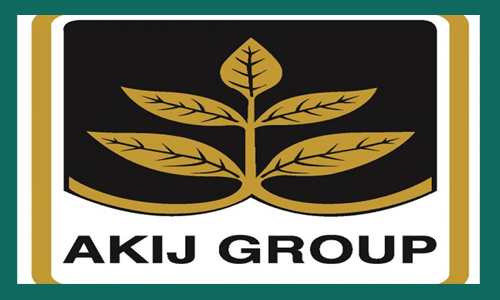 Akij Group is a largest group of company in Bangladesh which founded by Late Sheikh Akij Uddin. Akij Cement, Akij Food & Beverage ltd, Akij Ceramics. Akij Biri, Akij Corporation Limited, Akij Chamber, Akij Foundation School, Akij Footwear Ltd, Akij Footwear Ltd, Akij Institute of Technology, Akij Ideal School, Akij Institute of Technology Chittagong, Akij Institute of Technology Khulna, Akij Particle Board Mills Ltd, Akij Printing & Packaging Ltd, Akij Pharmaceuticals Ltd, Akij Ready Mix Concrete Bangladesh, Akij Real Estate Ltd, Akij Group Dhaka Tobacco Industries / Akij Tobacco, Akij Shipping Line Ltd, Akij Securities BD, Akij Spinning Mills Ltd, Akij Tiles, Akij Wall Tiles, Akij Textile Mills Ltd, Akij Glory Vessel, Akij Wildlife Farm Limited all are the sister concern of Akij Group. Akij Group are urgently seeking some person for Akij Food & Beverage ltd at Dhamrai, Chatok, Chapainawabganj for the following post. 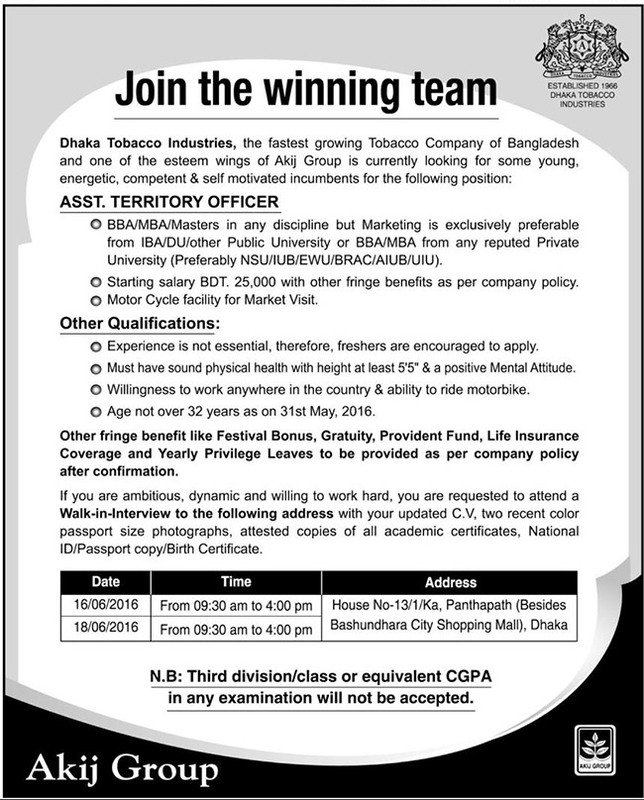 Eligible and Experienced person are requested to apply. History of Akij Group stretches back to later part of the forties. In its infancy, the Group started in humble way with jute trading which was known as the golden fiber of the country, earning highest amount of foreign exchange. Akij Group's ceaseless efforts with dynamic management and support from our numerous clients have led our Group in diversifying its business activities. In the second phase, the Group went into manufacturing handmade cigarettes popularly known as bidis. This sector gave a real boost to the revenue earning of the Group as well as making a substantial contribution to government exchequer. With the passage of time, the Group undertook new ventures and presently there are 15 units of industries under its umbrella like cigarettes, handmade cigarettes, printing & packaging, textiles, hand board, pharmaceutical, leather processing and real-estate business are in operation, catering jobs for more that 32,000 people in various categories. The Group has plans for setting up more projects. The projects are already in pipeline. Foreign investors have shown keen interest in joining with us for joint ventures. The matter is under our active consideration and will hopefully soon mature. This will also help the nation's economy growth and will create job opportunities to various professionals.